Over the course of Tomato, this under-recognized electronic composer from the former DDR slowly unfurls a tenebrous and derelict world of discarded electroacoustic fragments, which are either knocked about in dank caverns or cajoled into looped disjuncts; most of them leisurely sprawling, concatenating or entropically corroding in their own dank little orbits by dint of a set of aesthetic stances that place this in proximity to both Anne Gillis and Thomasius' frequent sparring partner, Asmus Tietchens at the most frosty end of his tether. Interesting post. 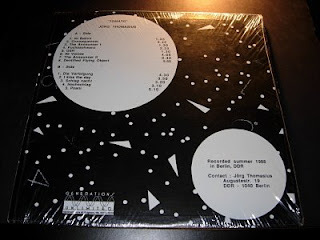 I actually produced this LP, along with Gen Ken, having smuggled the tapes through the Berlin wall. 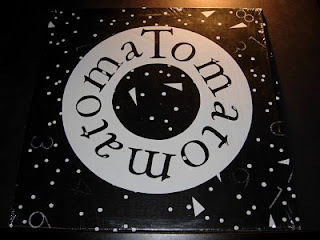 "Tomato" was a nickname/joke on "Thomasius." Thanks so much for posting this wonderful record and there's a comment from one of the producers, wow!! !